TULSA Mary Frances Lincoln (the older sister of our classmate Alice Lincoln Jacobs) was born August 10, 1942 to Richard B. and May Ross Lincoln in Oklahoma City and died July 28, 2011 in Tulsa. She graduated from McGuinness High School in 1961, and earned a Master's Degree at St. Louis University. She was a clinical social worker (primarily for Native Americans), counselor to many and director of retreats and meditation workshops. She is survived by her partner, Carol Redford and her daughter, Sarah Beilke, both of Tulsa. She is also survived by her son-in-law, Josh Yount; her sisters and brothers-in-law, Alice and Ron Jacobs and Carolyn Redbird and Jim Perkins; and by her brother, Tom Lincoln. Also surviving are seven nephews and five nieces. 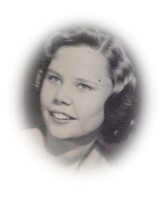 Her memorial service was held in the Marian Chapel at Monte-Cassino school, Tulsa, on August 6, 2011. In lieu of flowers, please make donations to the Kiwanee Center (Mary was a founder) located at 4815 S. Harvard Ave, Suite 310, Tulsa, OK 74135.